an open question to about 60 beautiful humans. 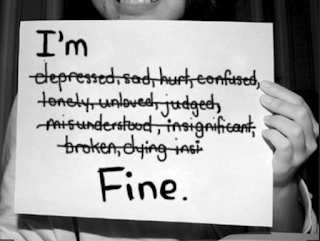 Will you decide and use a different word when people ask ‘how are you’? instead of saying a cliche - ‘Fine’ or ‘Good’ etc. Can you decide and use your new cliche word? Here are all the responders/reflectors/Becomers - their WONDROUS contributions. I think whilst I didn’t try explicitly with a different answer this week, there are times when I answer this question properly, and say how I really am, depending on the person who asks! I think that is key to me, because if I feel that the person who asks is a good friend, I would tell them truthfully how I am doing, and what is going on. I’m the sort of person who likes to be honest and open, and treasure that when it is reciprocated. I find that I will re-phrase the question to some people with how are you doing, or how are you feeling. I know a colleague lost their pet this week, so I asked how they were feeling. They weren’t able to answer at that time, but could talk later about feelings. Love two way conversations about feelings, and often find that as soon as I am more open then the other person feels safe enough to be as well. I could not do this. I do not open up to people about myself unless I am truly connected to them and trust them. This week I gave only superficial answers to the question of 'how are you? ', because I didn't encounter any of the people in my life who know the true me and I can open up to. 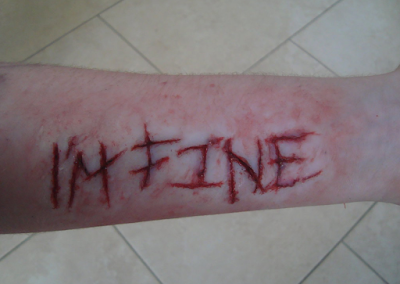 A while ago I actively decided to try not to reply with “I’m fine” when people asked me. However, on occasion I do still - if it is someone I don’t feel I want to engage with at that particular time, or if I’m not really thinking. 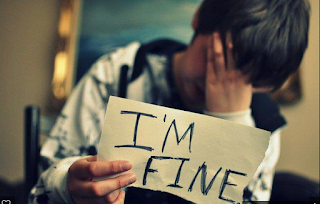 I sometimes correct myself if I have answered I’m fine and that’s not really true. I do try to answer honestly - with I’m very busy but life is good. Or things aren’t too bad thanks, they could be worse, or things are looking up or I’m actually really good thanks! The past few weeks it’s been more a case of I’m a bit croaky but I’m ok thank you… (I’ve had a very husky/croaky voice) or if they look worried “I’m ok thanks, I’m not infectious!" Remember the words are only part of what is expressed - a lot is said non verbally! 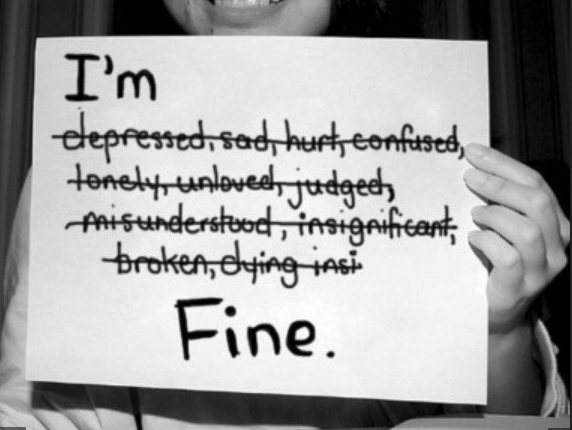 It is rare I say I’m fine - but if I do then potentially i do actually mean it!! Interesting question, this one. Some time ago, I decided I wanted to be as open and honest as I could and the standard 'I'm fine' was something I wanted to tackle. However, I quickly discovered that most people really only want that standard answer. Receiving an honest 'I'm not too great today' left people a bit flummoxed (isn't that a fab word?!) not knowing how to respond. So, I have 2 levels of communication here - 'I'm fine' or 'doing okay thanks' as a reply to those who, in passing, just want to share a polite greeting. Those I know, with whom I have -or am trying to build- a somewhat deeper relationship, I might smile and say 'do you really want to know?' or I will respond honestly 'feeling a bit low today' or whatever. The non-standard route takes more time and energy to engage, so a busy corridor or a classroom might not be the appropriate context. On the flip side, I have been known to ask how someone is and if I get 'I'm fine' I might just counter with a 'really?' and then make space immediately or time later to listen ... I'm pretty intuitive when people are not okay. I decided to answer as honestly as possible when asked - So today I answered I'm feeling full of anxiety and am very stressed this opened up conversation with my brother about, our past , stuff that happened in our up bringing etc, stuff that we both did with our kids that we felt ashamed about. A very liberating conversation. When I'm asked the question "how are you?" I'm aware that the success of the conversation lies predominantly in how I answer, as I have the opportunity to set the tone. If I give a generic answer,the person I'm speaking to may lose interest consciously or subconsciously and the conversation can seem more like an exchanging of courtesy items instead of deep, engaging matters. Because I am interested in psychology I don't always like people asking me if I'm okay, as I prefer to solely focus on how others are feeling. 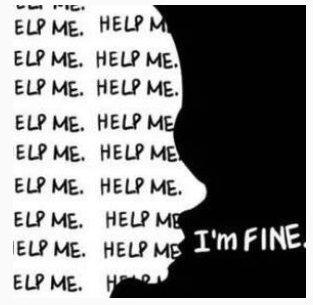 Thus, sometimes when I'm asked "how are you?" I don't reply and instead I ask "well, how are you?" Their usual reply is that "they're fine" and so, I finally reply with "then, I'm fine because you are". This instantly makes them feel more comfortable. And what's more is that I can identify who genuinely cares about knowing how I feel. If the individual gets annoyed that I don't answer properly, then they genuinely wish to know how I'm feeling instead of asking out of courtesy! Thanks! I decided I would reply with my anchor word for 2016: "renewed!" I was excited to try this experiment this past week with the people I met. I wanted to see their reactions. But two things happened. 1) I am so conditioned to reply with "fine thank you," when asked how I am that I forgot to use my new reply word ! 2) I am an Educational Assistant and we are off now on summer holidays so I am not encountering as many people to try this experiment on! But I will not give up...to be continued! Right now in my life, it is far easier to duck this kind of a question. Where to start? How to actually get the words out? The poor folk are possibly only being polite after all! But.....it's a fair question. How am i with others? Is it actually fair to keep people who know and love me at arms length? And what about people who don't know me? I'm giving them a bland and a not very realistic impression of who i am. So having ducked this question for ages, i intentionally gave it my very best shot and chose a weekend when i was far away from my home town to practice. On the basis that if i sounded an idiot then at least in all probability i'd not be seeing those people again. "FullaStuff" was the nearest i could get. 'Coz i am, full of stuff that is. There is just so much going on right now in my life. It's mostly all good, change and new starts in lots of parts, massive No Entry signs in others, new grandchildren, elderly parent situations, relatives dying. Change. Good change. Bad change. Just change. So i took a big breath and used the new cliche word at each and every opportunity, as asked. It had a remarkable effect and one that i wasn't quite ready for. What could have been "Hi, Bye" occasions turned into conversations and on two occasions total strangers wanted to settle down for chats, serious chats about serious matters. So we did. Reflecting on this still causes me to feel vulnerable, scared almost. I think that at this time i don't want to say anything that could be misconstrued as saying how i really feel. Because right now i don't know how i feel. At all. And maybe i'm one of those people who takes time to process emotions, maybe there are so many emotions swirling around that i can't unpick them all? Or was being ‘economical with the truth’ as “ok” meant I was happy to be leaving the office for another weekend! I have a tendency to qualify my “oks” with an opposite story. (I did a pastoral course that taught this 5 plus years ago, but still have not learnt it yet). I want to become a listener. Reflecting back through the past week I think I had 5 x “How are you”? cliche questions. Without thinking I gave my, now standard, answer “I am imperfect” and it always gets a smile or “So am I’ type comment. I am trying to step away from this ‘Imperfect’ one now and use a different cliche, but find myself referring back to it now on auto. All of the five people who asked how I was were Staff in cafes, one a restaurant, including one who was a new friend. Lots of other encounters were with people I know well and, because of an established relationship, we both don’t go there. I believe that breaking away from this L1/Cliche interaction helps me to develop at all levels. I want to have at least one more cliche answer which is not a put down or smug - but breaks the mould - helping the contact to go beyond the superficial. a ‘doing’ thing - not only a writing/reflecting thing. Wondrous for you I believe - AND for all who will read …..